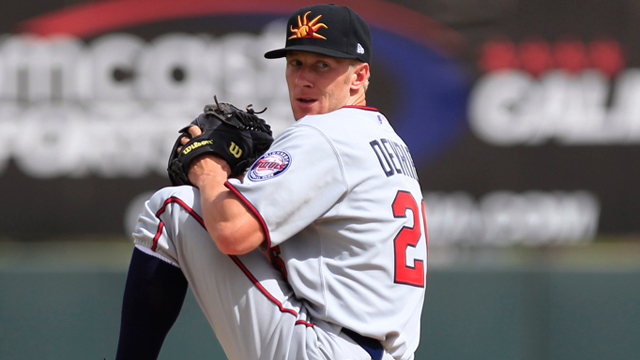 Two weeks ago I examined the five players most likely to be the Twins' target with the No. 2 pick, so today I thought it would be interesting to look back at the history of that spot in the draft. Elite-level talent varies wildly from draft to draft and trying to draw conclusions based on 47 players spanning 47 years is silly, so this is mostly just an exercise in curiosity. In other words, Reggie Jackson being the No. 2 pick in 1966 doesn't mean much for the Twins in 2012. For some Twins-related context for those WAR totals, consider that Luis Rivas had -2.9 WAR for his career, Jacque Jones had 9.2 WAR for his career, Roy Smalley had 25.3 WAR for his career, Kent Hrbek had 35.7 WAR for his career, and Rod Carew had 76.6 WAR for his career. There are lots of factors, but basically 0-10 WAR is a role player, 10-20 WAR is a regular, 20-35 WAR is a very good regular, 35-50 WAR is a star, and above 50 WAR is Hall of Fame territory. As you can see, that list of No. 2 picks isn't exactly packed with Hall of Famers. In fact, of the 25 players selected No. 2 from 1982 to 2006 two failed to reach the big leagues at all, three others produced negative WAR when they did, and a total of 13 didn't crack double-digit WAR. In other words, more than half of the No. 2 overall picks were no better than role players or, in a few of those cases, very good players who stumbled on the path to sustained stardom. There are zero Hall of Famers on that 25-player list, although Will Clark is a fairly legitimate candidate, Justin Verlander may yet get there some day, and Mark Prior seemed headed for Cooperstown before injuries derailed him. Beyond that Josh Beckett, Mark Mulder, J.D. Drew, B.J. Upton, Bill Swift, Greg Swindell, Rickie Weeks, and Alex Gordon are stars, to varying degrees. Still, those 25 produced a lot less career value than I'd have guessed. None of which is to say that there wasn't much more career value available with the No. 2 pick in those 25 years, because almost every draft class during that time included at least one star-caliber player who didn't go No. 1. For instance, when the Twins got zero value from No. 2 pick Adam Johnson in 2000 the class also included Chase Utley, Cliff Lee, Adam Wainwright, Grady Sizemore, Brandon Webb, Ian Kinsler, and plenty of other familiar names. 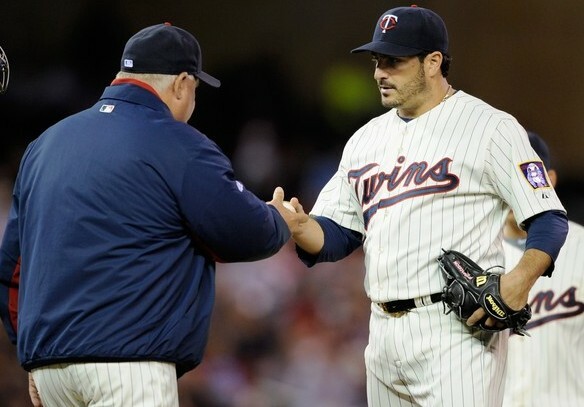 Or when the Twins took Travis Lee at No. 2 in 1996, failed to sign him, and watched him have a mediocre career with four different teams the class also included Roy Oswalt, Barry Zito, Jimmy Rollins, Eric Chavez, and Travis Hafner, among others. That isn't fun for Twins fans to think about, but similar stories apply to every draft class during that 25-year span and rarely did the No. 2 pick actually produce the second-best player even when studs were available. Oddly during the 10 years from 1987-1996 the No. 2 pick produced zero stars and all but one failed to crack double-digit WAR, whereas during the 10 years from 1997-2006 all but two No. 2 picks have already topped 10 WAR and depending on your definition there are as many as eight stars. With only one player per year it's tough to differentiate between randomness and something with predictive value, but maybe scouting and/or decision-making has improved. As for what that all means for the Twins come June 4 ... I'm not sure. Between the consensus on this year's draft class being that it lacks elite-level talent and the fairly underwhelming history of No. 2 picks from 1982 to 2006 expectations certainly need to be held in check. For every Clark or Verlander there have been several flat-out busts and ultimately snagging a solid but unspectacular player would represent an above-average return from the pick. Also worth noting is that while we read the glowing scouting reports and dream of this year's top prospects developing into stars history suggests that several of Byron Buxton, Mark Appel, Kyle Zimmer, Mike Zunino, and Kevin Gausman will prove to be busts and zero or one star emerging from that quintet is more likely than three or four. 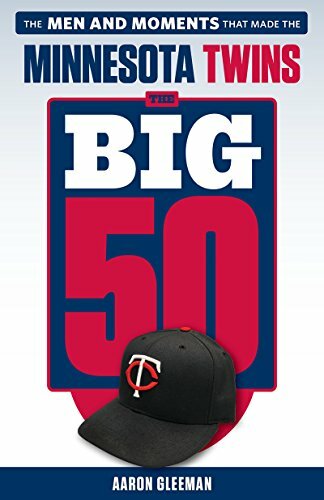 Whatever happens, the Twins can't possibly get less value from this No. 2 pick than they got picking there in 1996 and 2000. This week's blog content is sponsored by ... no one. If you'd like to become an AG.com sponsor, click here for details and availability. 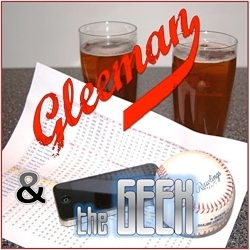 Topics for this week's episode of Gleeman and The Geek included Justin Morneau's resurgence, the Twins' options with the No. 2 overall pick on June 4, Jason Marquis' departure, Francisco Liriano's move back into the rotation, the best baseball movies of all time, first impressions of Cole De Vries, our PickPointz MVP picks, Johan Santana's return to greatness, Ben Revere's role, and why Anthony Slama can't catch a break. Cole De Vries was the Gophers' ace in 2006, going 7-3 with a 2.42 ERA and 72-to-32 strikeout-to-walk ratio in 93 innings to earn All-Big Ten second-team honors, but the Eden Prairie native went undrafted before signing with the Twins. He debuted at low Single-A in 2007 and moved up to high Single-A in 2008, faring well in both stops, but then struggled at Double-A in 2009 with a 4.53 ERA, .291 opponents' batting average, and 90/46 K/BB ratio in 138 innings. At that point the Twins shifted De Vries from the rotation to the bullpen and had him repeat Double-A in 2010, but he was even worse there and also got knocked around in his first taste of Triple-A. Combined between the two levels De Vries posted a 5.79 ERA with 113 hits and 39 walks in 92 innings while serving up 12 homers. At age 26 he was in danger of being released, but instead the Twins sent him back to Double-A and something clicked the third time around. Serving as New Britain's closer he saved nine games with a 2.28 ERA and 33/5 K/BB ratio in 28 innings, earning a promotion to Rochester. He came back down to earth, but remained plenty effective at Triple-A with a 3.90 ERA and 42/18 K/BB ratio in 62 innings. He still wasn't on the prospect radar, still wasn't on the 40-man roster, and still wasn't protected from the Rule 5 draft, but at age 27 he finally earned a chance to start a season one step from the majors. And not only did De Vries begin this year at Triple-A the Twins decided to shift him back into the rotation there. When injuries and ineffectiveness destroyed the MLB rotation depth his Triple-A rotation-mates Liam Hendriks, Scott Diamond, and P.J. Walters got calls to the majors and De Vries kept plugging along in Rochester with a 4.24 ERA and 37/7 K/BB ratio in 47 innings. They dipped down into Triple-A again to replace Jason Marquis and De Vries got the nod. De Vries' big opportunity comes more as a result of the failure of others than his own success, but that surely doesn't make finally reaching the majors with his hometown team at age 27 any less satisfying for an undrafted career minor leaguer. And he did his part by persevering through some rough times and improving as a pitcher even while bouncing back and forth from role to role and level to level. As we'll see in De Vries' major-league debut tonight his raw stuff is underwhelming, including a high-80s fastball that failed to miss many bats in the minors and may have big-league hitters drooling. However, after walking 3.3 batters per nine innings between Double-A and Triple-A in 2009 and 2010 he sliced that to 1.9 walks per nine innings at the same two levels in 2011 and 2012. He's hittable, but at least he throws strikes and in the Twins' world that means a lot. As an undrafted 27-year-old extreme fly-ball pitcher with a high-80s fastball and a 4.65 ERA between Double-A and Triple-A the odds are heavily stacked against De Vries having any kind of sustained success in the majors, but it'll be awfully difficult to pitch any worse than the $3 million mess that was Marquis. Hopefully he can follow Diamond and Walters as an unexpected spark for the rotation and either way De Vries simply reaching the majors is a helluva story.